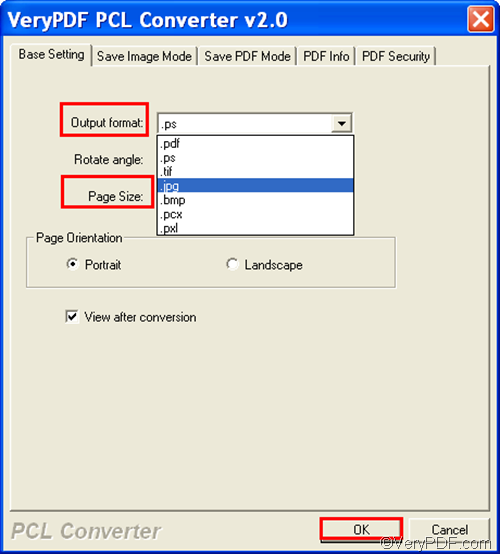 VeryPDF PCL Converter is an easy to use document converter which can help you quickly convert PX3 to JPG and fit to paper size. It can also help you convert PX3, PXL, PCL to PDF, PS, TIFF, JPG, BMP, etc. Besides, when convert documents, you can also set page orientation, resolution, colour depth, etc. 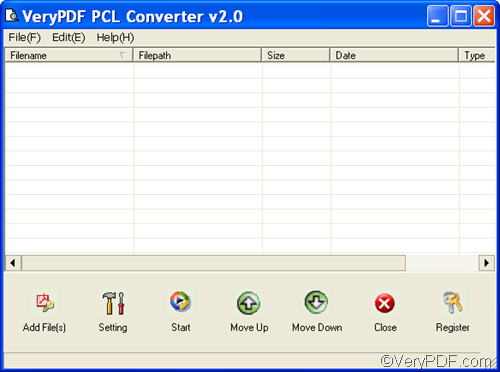 Just right click the icon of VeryPDF PCL Converter on the desktop, and then click Open in the list that appears. Since VeryPDF PCL Converter supports dragging and dropping, you can use the simplest way to input PX3 files: drag the selected PX3 files from Windows Explorer and drop them into the list box on the interface. When you see all the input files displayed on the interface, please proceed to the next step. Depending on your requirements, there are at least two options you need to set: the output format and the page size. Please click Setting on the main interface, > in the Output format combo box, specify .jpg as the output format. > In the Page Size combo box, specify a proper size like c5 as the output paper size. > Click OK. You can also set other options like resolution, page orientation and color depth before you click OK in the dialog box. Click Start on the interface and then the Browse for Folder dialog box will pop out. In the dialog box, please browse for a folder and select it to store the JPG files. Then, when you click OK in this dialog box, the computer will begin to generate JPG files from PX3 files and placed the result files in the selected folder. Well, this is the method I would use to convert PX3 to JPG and fit to paper size. If you want to generate watermark-free JPG files from PX3, please purchase VeryPDF PCL Converter by clicking Register on the main interface. This entry was posted in VeryPDF Blog and tagged fit to paper size, px3 to jpg. Bookmark the permalink.